One of the negatives to using a Safe Withdrawal Rate (SWR) model, such as the 4% Rule, to predict when early retirement is possible and to guide spending in retirement is that if history repeats you could leave a lot of wealth on the table. This is because if a conservative SWR is chosen it tends to have very few historic sequence of returns that fail meaning the withdrawal rate you choose is based on some of the worst sequence of returns rather than the best. After 30 years that $1,000,000 has in Real (ie after inflation) terms become an average of $2,027,248 and a median of $1,531,784 while the highest wealth value is $5,957,932 and the lowest is -$370,926. So in the one extreme you’re living under a railway arch begging for food and in the other you have nearly six times what you started with. If history were to repeat could we potentially be more precise than that? Enter stage left the Cyclically Adjusted PE Ratio (CAPE). 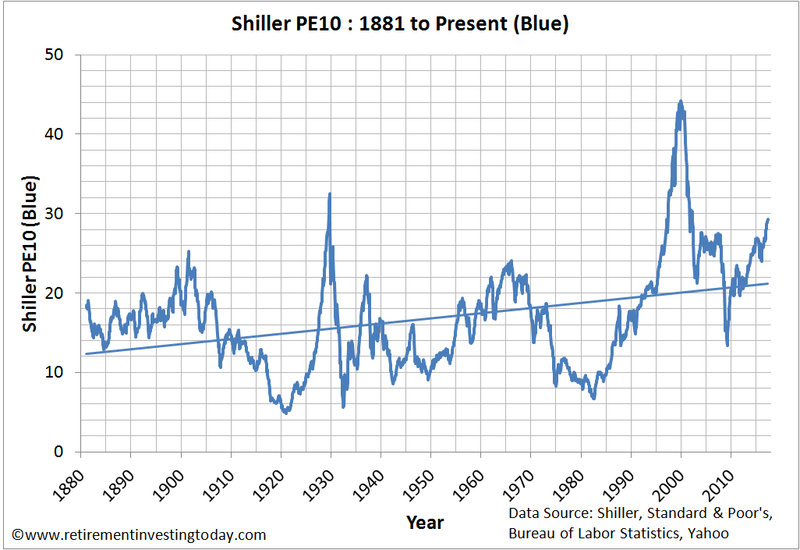 This market valuation measure was made famous by Professor Robert Shiller and is the ratio of Real S&P 500 Monthly Prices to 10 Year Real (ie after inflation) Average Earnings. We know that we live in a society where boom and bust prevails and the CAPE is simply trying to smooth out those boom and busts to help identify when value is with us. The coefficient of determination, R^2, for that dataset is 0.65. That says that 65% of the movements in the final wealth can be explained by the CAPE value. So as somebody about to retire in the next few months what do I make of all this? Well with the CAPE currently sitting at 29.3 I’m thinking worst sequence of returns and I certainly wouldn’t be starting this FIRE lark on a 4% withdrawal rate. Nice analysis.........the CAPE in an interesting measure of value and some have suggested it as a way of timing the market. Looking at the numbers I think it has very limited use in that respect but your use is far more interesting. The other issue is that when we look at a SWR, we tend to assume that, for example, the 4% rate is taken evenly over the 30 years. In most cases I don't think this is true because at some point the State Pension (I live in the UK) kicks in. In my case I could withdraw at a rate greater than 4% for 10 years and then the State Pension begins, at which point I could reduce to a withdrawal rate significantly lower than 4%. This then allows the pension fund to recover over a period of time. I think your technique could also be of use here.......by using the date of State Pension rather than the date of retirement as the point in time when you determine a SWR. I'm a bit younger than you at age 44 today. In contrast I'm assuming in my planning that I won't receive a State Pension - it will either be available too far in the future to be useful and/or it will be means tested. In FIRE I will however continue to pay Class 3 NI contributions as an insurance policy to my FIRE plans going badly wrong. It may be that once you are (say) 80 or 85 you will have tired of managing money, or will have become too muddled to do so. You might then want to use much of your capital to buy an annuity. Is there a useful way to allow for that possibility? You might also have an old-age fallback position: equity release from your house. You could just use the Retirement End Year in cFIREsim as the year you intend to buy the annuity. Then just use the ending wealth number as the amount of capital used to buy the annuity. Note of caution: Remember cFIREsim uses historical US data. Thought provoking and quite topical given current valuations in the US & UK stock markets. I'm always wary of eating into capital. I have been thinking about this in terms of whether the income/dividends from my portfolio gives me enough to live off? In that case I shouldn't be as worried about volatility in the capital value of the index. Does cCFIREsim make any distinction between income and capital gains? e.g. if starting withdrawal level is being met by current income/dividend yield does this have any bearing on the proportion of successful outcomes? PS Think I may spotted a typo should read "the least wealth remaining is -$0.37M" rather than 1.5m? Living off the dividends is my plan. Right now the dividend yield of my total portfolio, less home purchase cash, is 2.5% and my WR going into FIRE is looking like (Mr Market permitting) being 2.0%. I'll also have 3 years in cash to help ride out the inevitable bears which may include real dividend cuts. 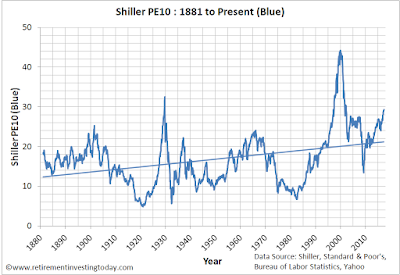 cFIREsim doesn't make a distinction but I believe a large portion of the dataset used is taken from the work by Robert Shiller which is available here http://www.econ.yale.edu/~shiller/data.htm You may be able to reverse engineer that to run some analysis. Thanks for pointing out the type. Duly corrected. Hi RIT, Your CAPE 29 number rings alarm bells if your equity allocation is 100% exposed to the US stock market. Which yours isn't. Neither is mine nor most UK investors I suspect. That world number is on the high side, but certainly not worst case. The 4% rule should be treated with caution, but not because of CAPE 29. Those simulation cycles are fun, but the success rate of 96.2% might include a scenario where you shuffle off this mortal coil age 86 with £3.27 in the bank. But if you had annual spending of £30,000, do you want to reach age 85 with £30,003.27 knowing you only had enough money for 1 more year? I suspect the answer may be to purchase an annuity, perhaps in your mid 70's, that reduces your capital but increases your security. Even if gilt yields are low when you do this (and so the cost of the annuity comparatively higher), their effect will be reduced as the capital element of the annuity (as opposed to the interest)at a later age will have more weight than at a younger age. We all need to balance the risks of running out of money at the age of 93 with the risk of running out of time aged only 60 with a massive amount of money in our portfolios. That latter risk sometimes gets overlooked. As the saying goes, no-one on their deathbed says they wished they'd spent more time in the office. All the best, and please keep us informed of how things work out. Apart from the comments your post has generated I don't think there is anything new here RIT. I am sure I have seen these graphs before and heard the struggles you have with knowing whether you have enough money to do the RE bit of FIRE , whether you can preserve enough of that money to give you some financial security and also provide enough money to live on..
You have still to make some really major decisions about your life and lives of your family : where you want to live , how much to spend on your house , how and where to educate your children - where you are going to be able to live a happy,enjoyable and fulfilling life as a family without obsessively worrying about your finances. Some major decisions and you are still posting about SWR ,CAPE and Schiller. There are risks in everyone's lives - there are risks involved in making decisions as they have consequences - but there are also serious risks associated with not making decisions . Perhaps you ought to look at those as you and your family are currently living with a very high level of uncertainty about many major aspects of their lives and futures. Are you familiar with the research of Michael Kitces? If not you may well get a lot out of his work. You're a bit younger, so maybe it's a bit different, but the point about a 4% SWR is that it is just that - safe - and safe because it is based on the worst sequence of returns recorded. Sure expected returns for the next 10 years may be low (as some predict anyway) but I don't think you will find that invalidates the rule. If that's not enough, a sure fire way of eliminating sequence of returns risk is to simply eliminate the inflationary increases applied to withdrawals so one withdraws a fixed percentage of ones retirement portfolio annually 2/4/6% whatever. One's income would then fluctuate obviously but if a 3% withdrawal, for example, would still provide enough income following a 25% fall in one's portfolio one is home and hosed. There is something to be said for simplicity. @ Ruby - the 4% rule isn't safe. It's based on the historical track record of US equities and bonds and refers to a retirement of 30-years (only) without deducting investing costs or taxes. For a UK investor portfolio over a 40 year retirement and nicking off a bit for fees then you are looking at more like 3%. According to Morningstar research also based on historical record. 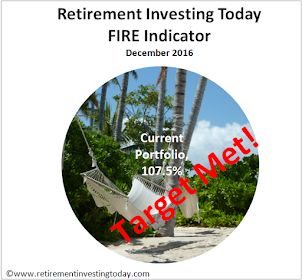 Change anything: retirement length, portfolio composition, rebalancing timings, return expectations, withdrawal rules and the answer changes. Of course, 4%, 3%, 2.5%: it's insurance against history's nightmare scenarios. Bad return combos that have only happened a couple of times in a 100 years. Most of the time life was a bigger bed of roses. But the thing about history is, we haven't seen it all yet. All-in-all, it's enough to drive anyone nuts unless we take Stringvest's advice - let go of the illusion of safety. @ Accumulator - yes, I indicated a longer term may make a difference but equally, a number of researchers don't think it matters that much. There is a lot of good info on the Kitces site for those so inclined. That's not to say I'll be trying 4% myself! RIT's biggest risk in my view, from someone who jacked it in early, is boredom, lack of purpose and, as you and Stringvest suggest, becoming paralysed by trying to control too much. Thanks for preparing this. I've long though about adjusting SWR to account for current stock market valuations & this supports that theory. Right now, a SWR of 4% would give me a perfectly fine pension based on today's portfolio valuation. However, I doubt a 4% withdrawal rate is a safe one at current market valuations. Thanks for the analysis and the (as ever) thought-provoking post. Couple of observations: "I'm assuming in my planning that I won't receive a State Pension"
I think this is taking caution/pessimism a little too far. The Triple Lock may well be history before long, and without a doubt the pension age will rise as the demographics dictate, however the chances of any Government reducing the SP to zero in the next 25 years or so seem to me negligible. They may and probably will tinker around the edges but as I understand it they have to flag any changes many years in advance - the pension is basically a contract between State and populace and any Government that proposed significantly to renege on the contract would find itself out of office pronto, in my view. I am 55, my wife a few years older and so according to the Government's own website we will receive >16K once I reach qualifying age in 2029. So I have modelled a 'glide path' between now and then that generates us a flat income of 30K made up of some DB pensions (about 16.6K/yr) , some dividends, and some drawdown and investment income from a DC pension pot (some ISAs, some private DC plus SIPPS). That pot will be between 210K and 300K depending on how much equity we release from our property when we 'downsize' (or 'samesize' if the Mrs has her way ;-)). Clearly the SP is a key part of the plan. Secondly, fear of 'leaving a lot of wealth on the table' applies less to those of us with children or other dependents. My model tells me that assuming a withdrawal rate of 4%, modest dividend yield and a starting fund of £210K, by 2029 the capital remaining is still over £170K, a reasonable bequest. I'm actually thinking that they reduce the State Pension to zero for some demographics only (in addition to continually raising the age). Ie means test it. If they're prepared to means test the winter fuel payment as debt worsens they'll certainly be prepared to means test the Pension itself. IMHO of course. Perhaps what you're alluding to is that a retiree wouldn't really keep spending their savings down to zero as the cliff edge approaches, unlike the assumptions made in most SWR research. That's where your ideas about not upweighting withdrawals in line with inflation would come in. From what I've read the ability to be flexible with spending looks like the most potent defence against a nightmare sequence of returns. That, and the ability to draw on income from alternative sources. I could easily imagine going out and getting a part-time job if I had to, or using a reverse mortgage, or locking in a minimum spending level with an annuity later in life. Interestingly, he also addresses the retirement length matter as well. The returns over first 15 years seem to be what makes or breaks a portfolio and adding more time just improves the odds. He argues that 4% + SWR is achievable even if the returns on a 60/40 portfolio in the first 15 years amount to just 0.86% (real).Mind you, real returns around that may be the new normal. The retirement cafe also has some useful stuff about eliminating SOR entirely - fixed percentage drawdown and flexible spending seems to be the jist of it. Articles are a bit out of date but I don't suppose history has changed that much. There's no information in that article about the SWR over anything other than a 30 year time horizon. You are right that the first 10 - 15 years is crucial but in that piece, Kitces is specifically tying his research to a 30-year horizon. "Bengen showed that increasing a time horizon from 30 years out to 45 years reduced the safe withdrawal rate from 4.1% down to 3.5%, as shown below." Yes, you can eliminate sequence of return risk if you can reduce your spending. If shares fell and you didn't need to sell any until they recovered then there would be no risk. But we can only cut spending so far and nobody really wants to do it at all. This is why pulling the FI trigger is hard. The more you accumulate, the less worry you have, the shorter your retirement. As ever the desire for security bumps against the desire to live life to the full. @ Accumulator - useful information, thank you. I find the SWR decreasing with a longer time horizon rather counter intuitive. After all, the longer one is in the market the more likely one is to get the market return. At the less academic end of the spectrum but a useful summary here. 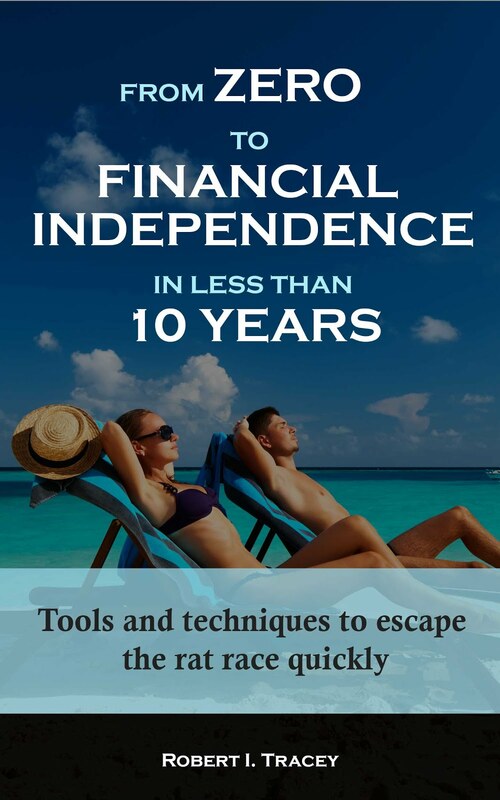 It mostly offers encouragement for early retirees. The 4% SWR is a broadly touted tool which pander to our desire for simplicity whereas I suspect the vast majority of investors for whom a SWR is a useful consideration have portfolios of investments / income producing assets which are far from simple. When you add to that the fundamental flaw that SWR calculations are backward looking and its all but meaningless. And thats before you start overlaying any risk weighting of the different asset classes. So I hold zero faith in trying to pigeonhole an SWR.